5 minutes walk from Brick Lane. Dafna Talmor is an artist and lecturer based in London whose practice encompasses photography, curation and collaborations. Her work revolves around a preoccupation with notions of home, transnationality and utopian ideologies. 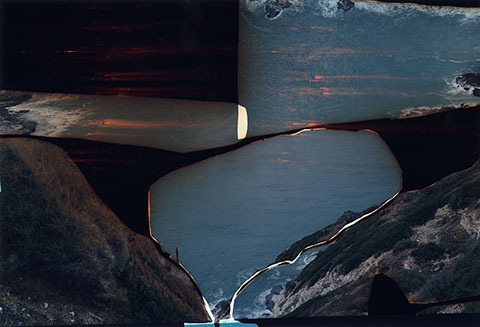 Over the last few years, Talmor has been developing Constructed Landscapes, an ongoing photographic series made from collaged colour negatives that engages with representations of landscape - its tropes and pictorial conventions - through historical and contemporary references. This body of work and a recent collaborative initiative On Landscape Project, co-founded with artists Minna Kantonen and Emma Wieslander, is what she will be focusing on for her talk at LIP. Booking for this talk now closed. Limited standing and any unclaimed reserved seats available from 6:30pm prior to the event.